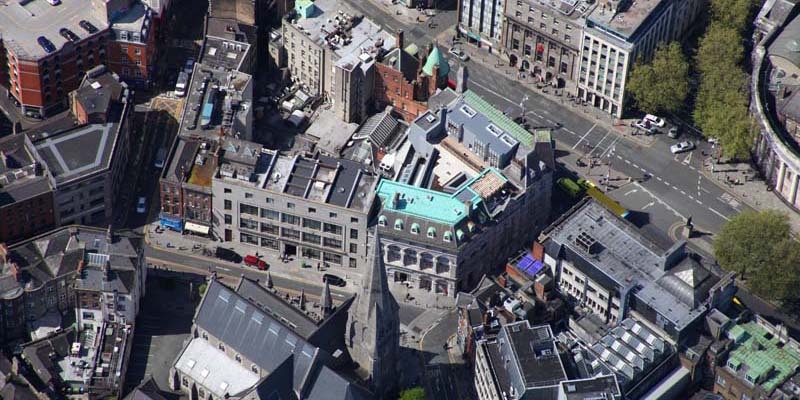 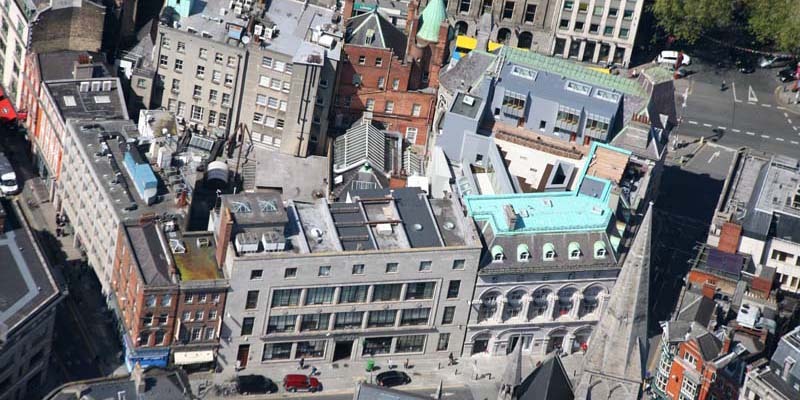 The refurbishment of the commercial building complex at College Green had a wide variety of different specifications due to the differing existing roofing, condition of underlying materials and variation in the pitches and exposure of the roofs. 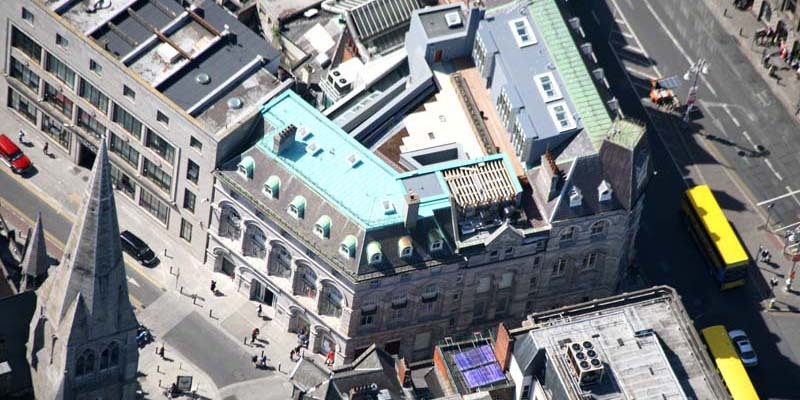 This required a very extensive survey and pre-planning of the project to ensure efficient and high-quality installation. 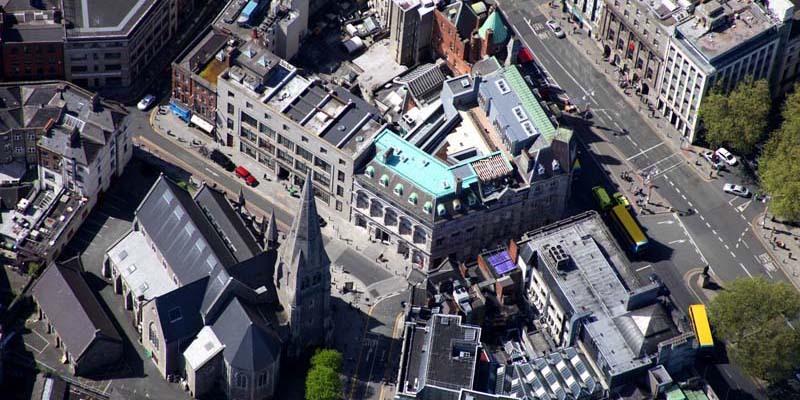 The site is in extremely close proximity to the public in one of the busiest areas of Dublin city centre and thus co-ordination with Dublin City Council and material suppliers had to be executed with great precision and timing. 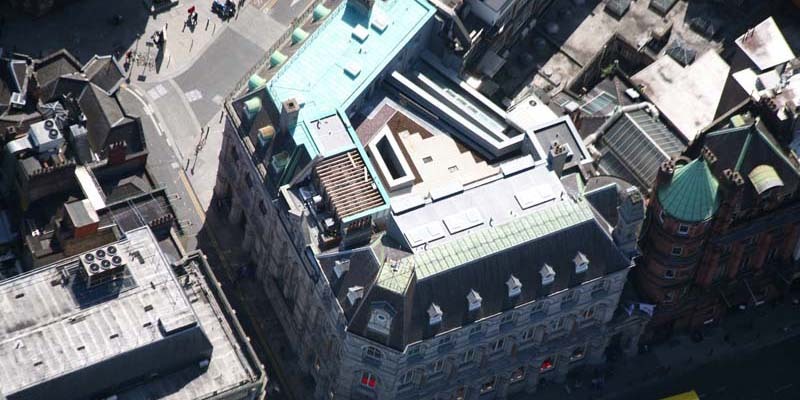 The roofing elements of the project entailed removal, installation and re-covering using Paralon bituminous felt, Sika Trocal single-ply PVC membranes, Kingspan insulation, Enka Liquid Applied systems to reduce fire hazards. 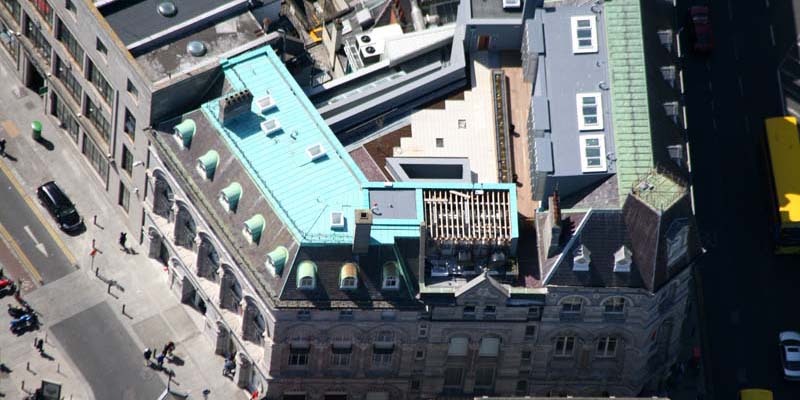 For rainscreen cladding Blue Banger slates as well as copper roofing were installed to achieve an aesthetic quality befitting such an iconic and prestigious building complex. 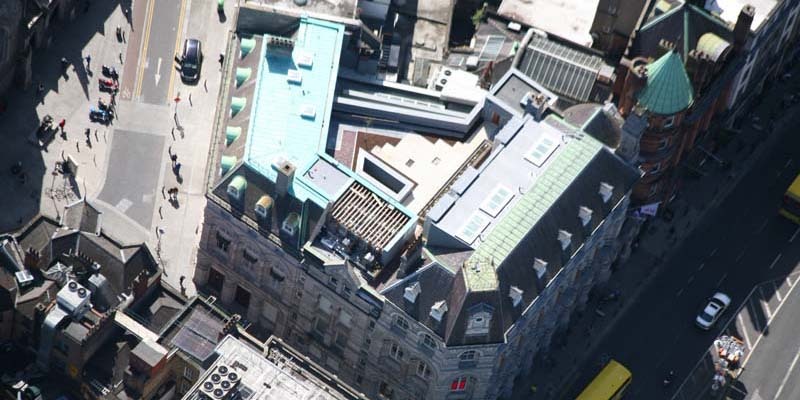 A Cable Safe Fall Arrest System was also installed to bring the buildings up to standard for working-at-height regulations and improve safety for future maintenance and repair.